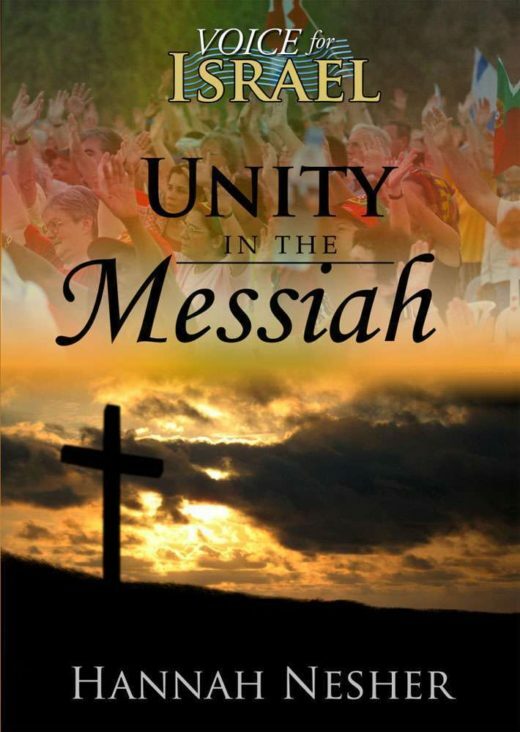 When believers of every nation, every tongue, and every tribe finally become one in the true Messiah, the world will know and believe that God sent His son. But beware the false unity, another Tower of Babel, that is rapidly gaining momentum in these end times. Dont be deceived by the promises of love, peace and harmony between the religions of the world. Gods word says, My people perish for lack of knowledge. Dont be caught unawares but be informed about the END TIMES! Will Jews and Arabs ever live together in peace? When Believers of every nation, every tongue and tribe, finally become one (echad in Hebrew) in the true Messiah, then the world will know and believe that God sent His son. But beware the false unity, another Tower of Babel, that is rapidly gaining momentum in these end times. Dont be deceived by the promises of love, peace, and harmony between the religions of the world. Gods word says, My people perish for lack of knowledge. Dont be caught unawares but be informed about the END TIMES! 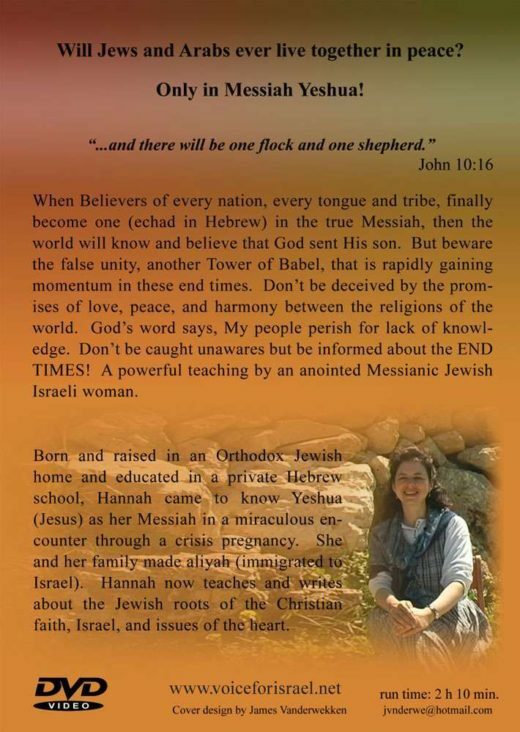 A powerful teaching by an anointed Messianic Jewish Israeli woman.